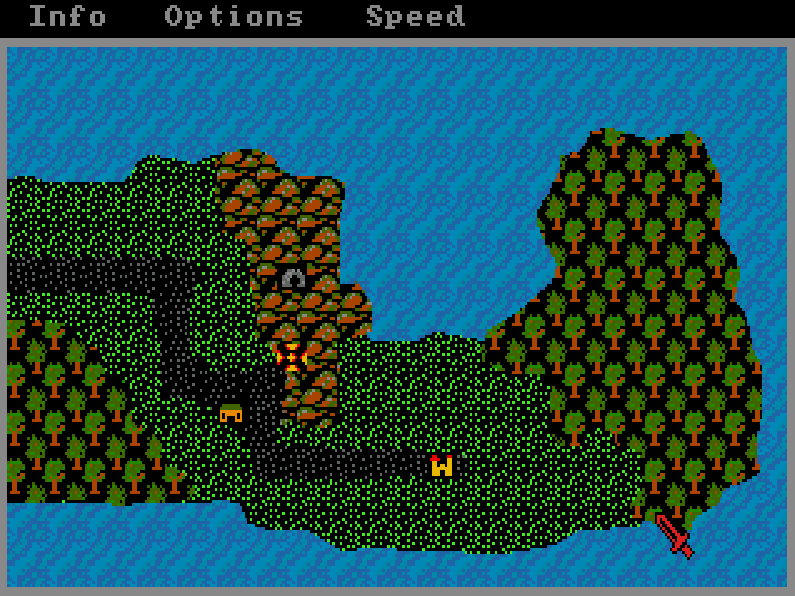 Ask CRPG fans who Lord British is and chances are they’ll know – he’s Richard Garriott’s alter ego in the Ultima series. Ask them who Lord Wood is, and the answer is less certain. In the mid ‘80s, SSI released a three-game series, Phantasie (1985), Phantasie II (1986) and Phantasie III: The Wrath of Nikademus (1987) created by Winston Douglas Wood. In the games, he’s known as Lord Wood, the noble leader of the forces of good and the adversary of the evil Nikademus. Phantasie’s original box touts the game as a “role-playing odyssey,” and this is a truly fitting description. For just as Odysseus wandered throughout ancient Greece on his journeys, the Phantasie series draws much of its inspiration from Greek mythology. The sorcerer Nikademus is bent on conquering the world with the help of his patron, the dark god Pluto. Zeus cannot allow this challenge to go unanswered, and like the myths of old, he finds mortals – a party of adventurers – to help his cause. The god also enlists the aid of Lord Wood and a wizard, Filmon the Sage, to guide and assist players throughout all three games. Throughout the games, your journeys are many and varied. Not only do players venture across medieval-fantasy lands, but they also visit different planes of existence. In fact, interdimensional travel is a crucial and exhilarating aspect of the series. Players travel to the Astral Plane, the Planes of Light and Darkness and multiple layers of the Netherworld. These aren’t just dungeons to explore, but rather small overworlds, complete with towns and locations. Not only do players hear about the gods, but they also meet them, Zeus at Mt. Olympus and Pluto in his “smallest castle,” which is so vast it defies mortal comprehension. One of the most unique aspects of the series is the wide range of playable races available for players’ parties (15 in total). Not only can characters be humans, elves, dwarves or gnomes, but they also can be any number of D&D-inspired races, such as gnolls, orcs, goblins, minotaurs, lizardmen and sprites. 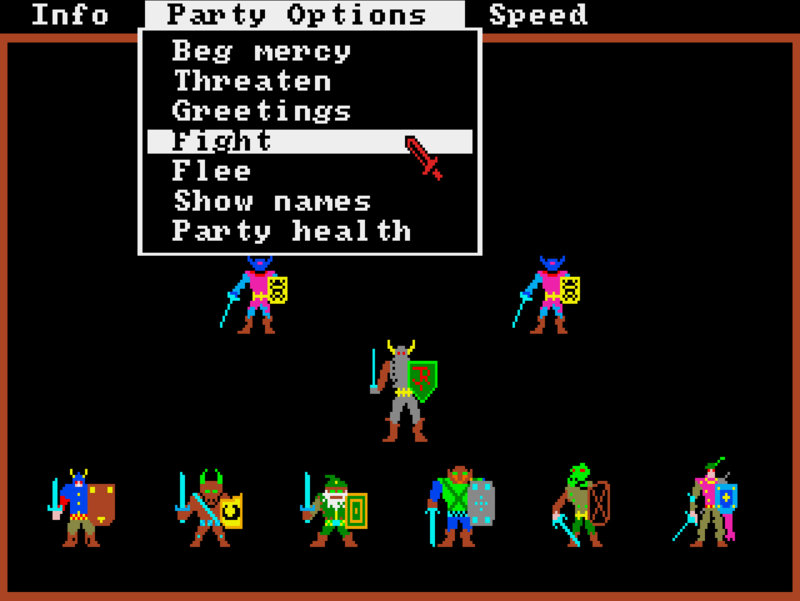 Each race has its own graphical representation on the combat screen, which was quite advanced for the time. It’s also possible to transfer characters from game to game in the series. The flow of the games follows a pattern that has become quite familiar in console games and JRPGs. Players’ parties advance from town to town in the overworld, explore dungeons encountered along the way and gain more experience and better equipment in the process. 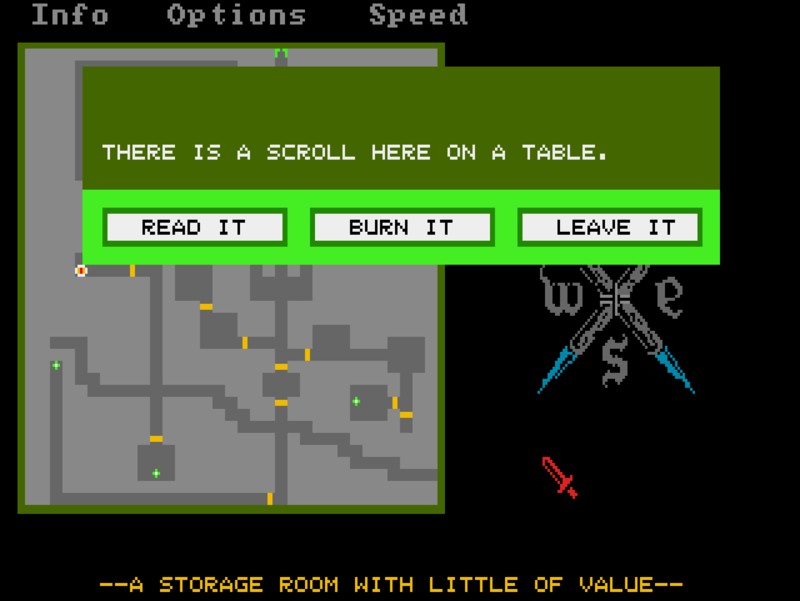 The dungeons are displayed in a basic, mini-map-style view, but are embellished with text descriptions to bring them to life. The story is mainly told through scrolls found scattered across towns and dungeons. These scrolls do an excellent job of introducing players to the people, places and events that shape the world of Phantasie. 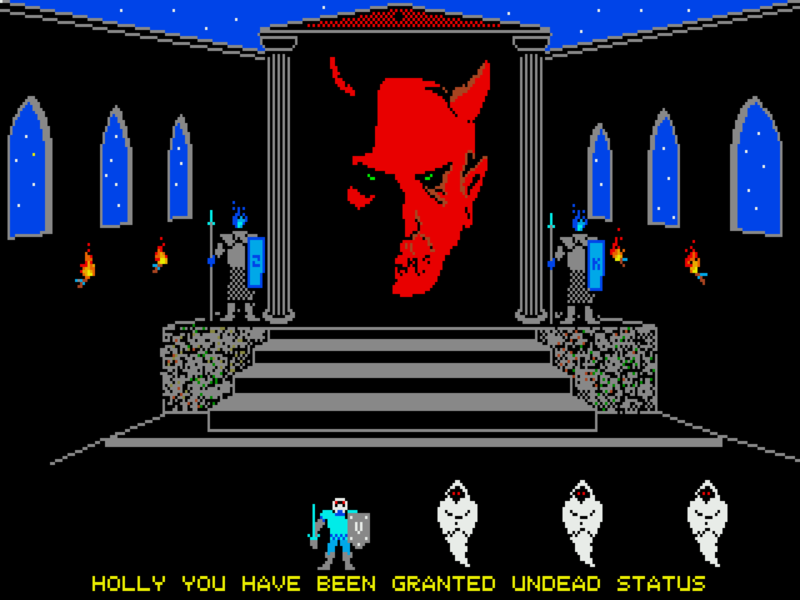 Players also encounter many puzzles and personalities in the dungeons, such as Filmon and Lord Wood. However, few encounters are so benign, and combat is an ever-present reality in the Phantasie series. The battle system is phase-based with enemies organized in rows and closely resembles the early Final Fantasy games, which arrived several years later. This system is the same in the first two games, but it’s improved with the addition of ranged weapons and the ability to hit different body locations in the third game. Not all battles are random though, and there are many unique encounters to experience in the games, such as a creature called J.R. Trolkin in the first game, an obvious homage to J.R.R. Tolkien. More memorable though are Pluto’s Minions from Phantasie II (1986), a collection of nine unique and challenging monsters whom Pluto keeps as pets.